Square Enix has a merchandise display at Tokyo Game Show 2018. 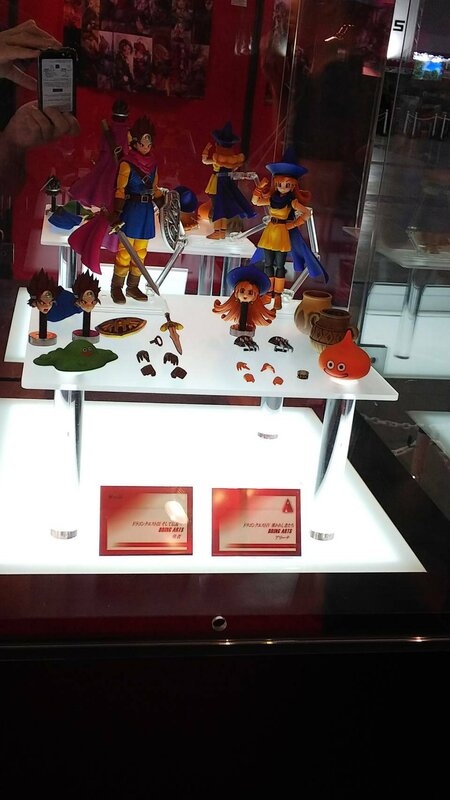 They are showcasing multiple newly announced Dragon Quest Bring Arts 6″ scale figures. These include figures from Dragon Quest III, Dragon Quest IV, and Dragon Quest XI. Check out the characters included below, and click the headline of the story for the photos. Dragon Quest III – The Hero Dragon Quest IV – Alena Dragon Quest XI – Serena and Veronica Dragon Quest XI – Jade (Martina in the Japanese release) Some images courtesy of Dengeki Hobby. The post Multiple New Dragon Quest Bring Arts From Parts III, IV, and XI appeared first on The Toyark – News.